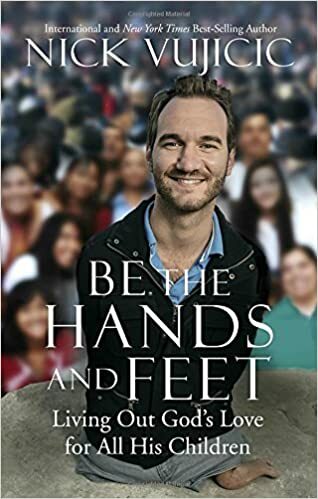 In Be the Hands and Feet, Nick Vujicic shared his personal testimony and the lessons he learned in his life. Nick was born without arms and legs and he had to discover how to live his life regardless. Nick opened up about how at first he wanted to be a professional soccer player. The officials turned him down because the other players wouldn’t be able to stop him and it wouldn’t be a fair game. His dad was a pastor and his dad thought an accountant would be a good career for him. Nick didn’t dream of becoming a pastor. He eventually went into motivational speaking and he spoke to many different youth groups. It led to bigger and better things. He soon was speaking at Bible clubs, youth groups, and church congregations and he filmed a DVD called, “Life Without Limb”. In this book, he shared how we can bring souls to Christ and how we can be the hands and feet of Jesus. Even though he lacks limbs, Nick is able to use his life to influence and made a difference in other people’s lives. Nick Vujicic shared scriptures throughout the book and he looked at the important scripture of Galatians 5:22-23 and the fruits of the spirit. Nick has seen an amazing response when he tells his audience that he loves them unconditionally like Christ loves them. There are many people crying when he shares this. Many people line up to give him hugs and this made him realize how desperately we are all wanting to hear that someone loves us. I wonder how many people would change, if we would truly love our neighbor. Would we see school shooting decrease and stop finally? I would recommend this amazing book to anyone who is needing to be uplifted and they need encouraged to keep running their race by reaching out to others and building them up. I have always connected to Nick’s story and how he felt so alone and depressed. He thought he had no future when he was in his teens. He eventually found his purpose and he got married and has even fathered four children. If he would have committed suicide back when he was at his lowest point of his life, he wouldn’t have been able to accomplish his God given destiny by reaching out to others and being the hands and feet of Jesus. I liked how the book revealed stories about how others thought outside of the box and they have been able to make a difference for God’s Kingdom. I really enjoyed the foster parents, Peter and Isabel story and how they are faithfully in trying to make sure all of the foster children learn they are loved and that someone cares about them. Some of the kids have been through very horrible situations and they don’t know how to trust anyone. This book will provide encouragement to readers to reach out to others and make an impact on their lives! 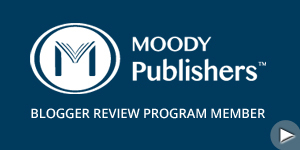 "I received this book free from the publisher through the book launch team."